Way to Everest from Jiri. Jiri to Everest Base Trek, adventure leads you on an old and original route to Everest base camp and into high and scenic Khumbu valley, visiting both sides of Everest region around Solu and Khumbu areas which is one of the highlights of this fabulous Jiri to Everest Base Camp Trek. Since Lukla airstrips were built in late 1970’, the old classic from Jiri to Everest areas was almost forgotten where most of the trekkers fly to Lukla from Kathmandu with a short period of time, where Jiri trail takes almost ten days to reach Namche Bazaar and beyond. Jiri to Everest Base Camp Trek an adventurer for people seeking a fresh new areas to Everest region, this will be an ideal trek as this trail is undisturbed with few numbers of trekkers, walking away from mainstream path for a week in complete tranquil in the harmony of scenic mountain views including Sherpa villages enriched with colorful culture of Buddhism religion. Jiri to Everest base camp trek starts with an exciting overland journey to reach at Dolakha district at Jiri, also known as Switzerland of Nepal with its beautiful green landscapes of rolling hills and valley with snow clad peaks. Walking past rural farm villages with constant views of peaks following a quiet scenic path with ups and downhill entering into the lovely woodland of tall rhododendron-oaks-pines tree lines Crossing over few passes to reach interesting and impressive villages of Junbesi-Ringmo and Nunthala. as Jiri to Everest Base Camp trekking progress entering into Khumbu areas within the main trail towards Namche Bazaar and beyond to Everest base camp, on reaching Namche where busy colorful Saturday market takes place once a week. After rest with acclimatization days where walk leads higher towards beautiful Thyangboche Monastery with the spectacular panorama of peaks with Everest and Amadablam, and then slowly tree lines fade to the wild and arid country on reaching our main goal at Everest base camp. Enjoying superb views of mountains enclosed within glaciers and Khumbu Ice Falls, an exciting climb leads you to incredible views of giant peaks from the highest point at Kalapatthar including Mt. Everest. after an enjoyable and memorable moment with an adventure of a lifetime, walk leads to Lukla on downhill past many interesting Sherpa villages and then fly back to Kathmandu with sweeping memory and grand adventure on Jiri to Everest base camp trek. Adventure on classic and original old trail to worlds' number one base camp. Visiting Solu and Khumbu villages. An adventure into world's highest Mt. Everest base camp. Massive Khumbu Ice Falls Breathtaking views from Kalapatthar. 1Arrive in Kathmandu via respective airlines and transfer to hotel. On arrival at Kathmandu international airport you will be well received by Reasonable Treks & Tour staff and guide and then transfer you to your hotels within the hub of Kathmandu city around the most happening and exciting place around Thamel. evening after checking into your rooms with refreshment our guides will brief on Jiri to Everest Base Camp trekking and with welcome dinner in a nice authentic Nepalese restaurant with culture show. 2Drive to Jiri 1,900 m - 06 hrs journey.An interesting drive towards east of Kathmandu on Nepal-Tibet/ China Friendship highway for few hours, on reaching at Khalichaur at Bhote Kosi River, leaving the main highway as the drive leads on winding uphill road to Charikot, a nice town of Dolkha district with views of Gaurishanker and Melung use and as far towards Langtang and Everest on east directions. from this town downhill to Tama Kosi River and climb back to reach Jiri a nice hill town, regarded as Switzerland of Nepal, due to its beautiful location of hills and valley cooler climate and views of snow-clad peaks. 3Drive to Bhandar (Chyangma) 2,195m and trek to Kinja 1,770 m -06 hrs.After overnight in Jiri, our second day starts with the short exciting drive to reach a nice village at Bhandar, as drive leads past marketplace to reach a high ridge overlooking beautiful views of surrounding landscapes and mountains. from the ridge downhill to Shivalaya village, from here drive climb to a ridge past farm villages and terraced fields and then into a cool shade of alpine forest of rhododendron-oaks-pines trees to reach small pass of Deurali at 2, 715 meters, and then descend to Bhandar village to start our short day walks of few hours to reach at lovely village at Kinja for overnight stop, after walking on pleasant wide trail and downhill through number of farm villages. Kinja nice moderate size village, situated in a warm valley just beneath high hills of Lamjura and Pikey danda offering views of Number peaks. 4Trek to Guranse 2,940 m via Sete 2,575 m near Lamjura-La pass - 06 hrsFrom Kinja, a steep uphill climb all the way to our overnight stop at Guranse past Sete village from here onwards where the temperature gets cooler, after a climb to Sete walk gets better around remote areas within dense forest of tall rhododendron and pines trees where Guranse a small village located our overnight stop. Guranse means rhododendron which is Nepal's national flower as well, a quiet and isolated place with views of high hills and snow-capped peaks. 5Trek to Junbesi 2,675m via Lamjura-la 3,530m - 06 hrs. Starting our day with cool morning walk towards Lamjura-la pass with steep climb into the forest of rhododendron, pines and oaks trees then through many small farmlands and hamlets, after few hours of climb reaching on top Lamjura pass marked by large Buddhist monument a Stupa with few lodges around. after Lamjura-la pass a long descend through forest all the way to Sherpa village at Toctoc, and then continue walk on winding path to Junbesi with the downhill walk to reach our overnight stop at Junbesi, a lovely large Sherpa village with an interesting monastery and a high school funded by Hillary Trust. 6Trek to Nunthala (Manidingma) 2,190 m - 06 hrs.After a pleasant stop at Junbesi, morning walk leads to a winding path with glimpse of Mt. Everest and other snowcapped peaks, and then down towards a river to cross over the bridge, a short climb brings you at a nice Ringmo village, stopping here for lunch after a refreshing stop an hour of slow climb into forested areas to reach Trakshindu pass of 3,070m high, which marked with mani and shortens with views of Number, Kusum Kangguru, Thamersarkhu, and Kantega peaks. b from here downhill to Nunthala past Tak Shindo village and old monastery, continue to descend to reach a farmland on the outskirt of the village, a short walk from the bottom of the hill brings you at the big village at Nantahala also called Manidingma, a village of Rai and Sherpa people. 7Trek to Bupsa Danda 2,250 m - 06 hrs. Air gets cooler as the route leads close to Khumbu area, on leaving Solu region, morning begins with the downhill into the forest to reach a bridge over Dudh Kosi River, after crossing the raging Dudh Kosi River on winding uphill to Jubing village. after Jubing an hour climb to Kharikhola at 2,200 m high, which is a large village of Sherpa and Magar tribes, after a short break heading uphill after crossing Kharikhola with steep climb for an hour to our overnight stop at Bupsa, a small village perched on a ridge with superb views of rolling hills and valleys. 8Trek to Surkhe 2,295 m - 06 hrs.From Bupsa a slow and steady walk reaches high Khumbu area where the temperature gets cooler as the walk continues through the mixed alpine forest. the walk leads over Kharte Dande pass at 3,880m high, way above Dudh Kosi River and then reaching at Puiyan (Paya) village at 2,800 m high a nice place in the midst of the forest. from Puiyan after having lunch leading on a winding trail with views of Lukla town and its airstrip, then descends to Surkhe village for the overnight stop in Khumbu area. 9Trek to Phakding 2,640 m - 04 hrs.The walk leads with gradual uphill from Surkhe and then reaching the main trail coming from Lukla where our trek follows Dudh-Kosi River upstream past interesting farm villages of Sherpa to reach at Phakding by the riverside for the overnight stop. 10Trek to Namche Bazaar 3,440 m - 06 hrsToday walk leads to famous Sherpa capitol at Namche Bazaar, as the morning walk follows the rivers crossing bridges and the past Monjo village to enter Sagarmatha National Park (Sagarmatha for Everest in Nepali) soon walk leads past Jorsalle village and then few hours climb with views of Everest and other high peaks as our trek of the day stops at Namche Bazaar for overnights. 11Rest day at Namche Bazaar for acclimatization and excursion.An important and necessary rest day for acclimatization at Namche with exact height of 3,440 m high before heading higher ground, in Namche filled with banks-stores-shops, restaurants, hotels-lodge and cyber café. Namche Bazaar holds colorful and interesting Saturday market every week. 12Trek to Thyangboche 3,867 m - 05hrs. Morning walks on the gradual winding trail with more views of Everest and Amadablam entering cool alpine woodland, and in the afternoon after lunch few hours climbs to reach at scenic Thyangboche Monastery for overnight stop, surrounded with green forest and mountain views with Mt. Everest. Here with time to visit its interesting monastery, a popular spot where every year in the month of October and November great colorful festival 'Mani Rimdu' is held. 13Trek to Dingboche 4,260 m - 05hrs.From wonderful spot Thyangboche walk leads past green vegetation towards windswept dry country with grand views of snow capped peaks slowly walk leads past the last permanent Pangboche village to enter towards Imjatse valley at Dingboche surrounded with high mountains with North Face of Amadablam and views of Island peak or Imjatse peak. 14	Trek to Lobuche 4,930 m - 05 hrs.Walk slowly gets closer towards our main highlight and destination as the route leads to gradual climb to reach Thugla, where massive Khumbu glacier ends up melting into an icy cold river, from Thugla an hour climb to reach Thugla small pass where you can observe many memorials of famous climbers who died in expeditions. from here few hours of good walk leads you to Lobuche a small settlement with the number of good lodges for the overnight halt. 15Trek to Everest Base Camp 5,364 m and return to Gorakshep 5,180 m - 06 hrs.Today our final goal to reach our aim and target, walking slowly on this high altitude where trekkers can visit a huge glass pyramid a metrological station established by Italian and Nepalese scientist, from here walk leads past Khumbu glacier and moraine dunes to reach a flat field at Gorakshep, (earlier base camp till 1970's) located beneath Kalapathar and Mt. Pumori on route Everest base camp. Here with some rest continue to walk towards east reaching Everest Base Camp where you can stop and admire the views of giant peaks of Nuptse-Lola-Lhotse-Pumori and other peaks with notorious Khumbu Ice Falls. In peak expedition season the place will be flooded with all colors of tents of mountaineers after a glorious moment returns back to Gorakshep for the overnight halt. 16Hike to Kalapatthar 5,545 m and to Pangboche 3,900 m via Pheriche - 06 hrsAfter a wonderful overnight stop at Gorakshep morning hike up to Kalapatthar, this will be the highest spot of the adventure at 5,545 m with the sweeping panorama of giant peaks with Everest at the mere distance. admiring the scenery walk downhill to Gorakshep and continue to walk downhill to Thugla, from here avoiding the route to Dingboche descend towards flat windy valley to Pheriche, a good walk stopping for overnight at Pheriche with grand views of Taboche-Cholatse-North Face of Amadablam. Pheriche with small health post run by HRA (Himalayan Rescue Association) and many good lodges. From here few hours of good walk reaches you at Pangboche village with close views of Amadablam. 17Trek to Namche Bazaar via Thyangboche - 06 hrs walks.Morning walk with short ups and then downhill from Pangboche and then back into green vegetation and tree lines, as the walk leads up to Thyangboche Monastery and then downhill towards Imjatse river with an hour climb to reach a small place at Kyangjinma, a quiet and peaceful spot with grand views of Amadablam and Everest.our walk continues on nice pleasant and scenic trail all the way to Namche Bazaar for overnight stop before Lukla. 19Fly back to Kathmandu afternoon free at leisure.After a fabulous time around world's highest Mt. Everest Trekking, taking a morning scenic and exciting flight back to Kathmandu, on reaching Kathmandu after a short 30 mins flights, transfer to your hotels with the afternoon free at leisure or last day shopping souvenirs and handicrafts. 20International Departure for Homeward bound.As per your international flight time transfer towards Tribhuvan International Airport for the journey back home or to respective destinations after a super and amazing time in Nepal Himalaya on Jiri to Everest Base Camp Trekking. We did 15 days Trek with Reasonable Treks And Tour / Anil Dhungana provided Very Helpful And professional assistance in planning for Jiri to Everest Base Trek, he’s is Organization for 15 Days Trek, Mr. Anil He is Recommendation Trekking Guide and porters were very friendly and they adapted the trip to our wishes. We take a lot of photo during The Jiri to Everest Base Trek Time We did it the Wonderful and amazing experience to reach the trek, guide he gives to everything information details on the way I Show village and mountain. Really enjoyed the Jiri to Everest Base Trek, Thanks to Guide And porters we want to highly recommend this company and staff for other travelers. Thank you so much, Mr. Anil, we really happy for your Trip. We will back Next Time!! 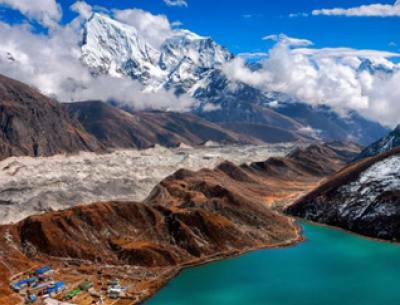 One of the most popular trekking destinations for adventure-seeking tourists, its fame and reputation have been rapidly increasing since the first summit of the Everest in 1953 by Sir Edmund Hillary and Tenzing Norgay Sherpa. 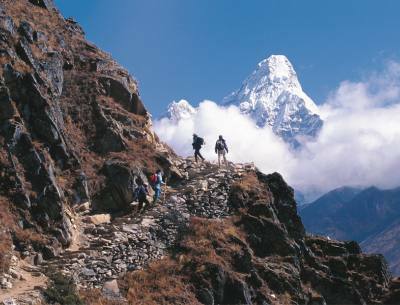 The Jiri to Everest base camp Trek is situated in the northeastern part of Nepal. 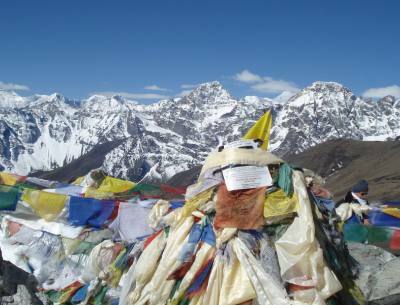 The Trek is a home to the world's highest mountain Everest, and many other towering peaks. Every year, numerous tourists go for adventures in this region. From summiting mountains to trekking in the base camp routes and villages, this Jiri to Everest base camp Trek has a lot to offer to adventurers. Trekking through quaint Sherpa villages, you get the opportunity to experience their generous culture, rich Himalayan biomes, and the magnificent snow-laden peaks. Accommodation On Jiri to Everest base camp Trek. Along the trails of the Jiri to Everest base camp Trek, you will find tea houses and lodges. All of these accommodating facilities are well maintained however they vary in standards. The facilities they provide are adequate and are comfortable. You will find plenty of options to choose from, all depending on your budget. But keep in mind, the higher you go - the narrower your options get. You will have basic facilities such as food, electricity, and toilets at all the tea houses and lodges. However, you should also be aware that these services are very hard to be made available, thus you should use them wisely. Transportation on Jiri to Everest base camp Trek. The best way to travel to the Jiri to Everest base camp Trek is by flight. Up until now, there is one gateway to the Jiri to Everest base camp Trek and it is the Lukla airport. All flights to the Everest region land here. You can travel by road but most of the places in this region are inaccessible by road. You will have to ride up to where the road ends and trek to the next checkpoint. Traveling by helicopter is also available, depending on how much you are ready to spend. Food & Meals On Jiri to Everest base camp Trek. While traveling around Jiri to Everest base camp Trek and higher altitudes, you will come across similar menus at all tea houses and lodges. The most commonly available foods around this region are Dal Bhat, noodles, eggs, potatoes, and Tibetan bread. Dal Bhat set is the best option for trekkers as it is served in large portions. It comprises rice, lentils, vegetables, and soup. Usually while trekking, your guide will contact your next lodge/tea house about your arrival and by the time you reach your destination, your meal will be ready. You may be able to find other food items besides the ones mentioned above. However, keep in mind that the choices of food items in this region are very small. Backpack list On Jiri to Everest base camp Trek. Guides & Porters on Jiri to Everest base camp Trek. One of the major aspects of trekking in Jiri to Everest base camp Trek is hiring guides and porters. As a traveler, you will require someone that is familiar to the Trek and can help you get through the trail smoothly. Guides can make your trek efficient as they will know the best routes. Porters can be helpful if you are going on longer expeditions such as summiting mountains. Such expeditions require longer days in which you have to carry more items. It’s best to have an extra bag which the porter will carry for you. You can hire a guide and a porter easily at any travel agencies. Electricity/ Recharge & Internet on Jiri to Everest base camp Trek. Group Size & Crew Member On Jiri to Everest base camp Trek. The ideal group size for trekking in this Jiri to Everest base camp Trek is considered to be around 5-6 people. It is highly recommended that you hire a guide. You can also leave out that option but it is for your own safety and benefit. It is up to you to hire a porter. Since this region is a popular trekking destination, there is no doubt you will meet fellow travelers walking the same trails. You can also travel alone but it is not recommended to do so. When you travel in a group, if you have any problems during the trek, there will be enough people to help you. Medical Facility On Jiri to Everest base camp Trek. You will find small pharmacies at villages around the trek. Some larger villages may also have hospitals that offer medical facilities up to an extent. This means you cannot expect high levels of medical services in this Jiri to Everest base camp Trek You will be able to get minor ailments and medicines at clinics and health posts in remote areas of the trip. For serious medical conditions, rescue is available via helicopter. It is best to have your travel insurance checked as medical services and rescue operations are very expensive. It is advised to carry proper first aid kit and vital medications in your backpack to avoid possible medical circumstances. Flight Cancellations & Delay (Internal) on Jiri to Everest base camp Trek. While traveling in the Jiri to Everest base camp Trek, Lukla Airport is one and only entry point by air, there are high chances of flight cancellations and delays. The main cause for this inconvenience is the unpredictable weather. In many cases, your flight will get delayed, but at difficult times your flights will be canceled. Since there are limited flights departing to domestic destinations, you might have to wait a day or two to catch another flight. The best alternative to this could be to go by road via Jiri/Salleri. Altitude Sickness on Jiri to Everest base camp Trek. While traveling in Jiri to Everest base camp Trek, it is definite that you will be ascending altitude day by day. The most common problem that occurs during these treks is altitude sickness. The higher you go, the harder it is to breathe. The most common symptoms of altitude sickness are shortness of breath, fatigue, insomnia, headache, nausea etc. You will have to walk slow and steady to reduce excessive pressure exertion on your body. If you catch altitude sickness there is no solution to this except to descend from that altitude. However, when immediate descent is not possible, medications like Diamox and other altitude pills can come in handy to get you going for a while. In severe cases, helicopter rescue is also an option to transfer the victim for further medical attention. It is highly recommended to consult a doctor before you go to such treks to find out about any complications in your body. Best Season to travel on Jiri to Everest base camp Trek. One of the key things you need to keep in mind before going on treks to Jiri to Everest base camp Trek is the season. There isn't necessarily the worst season to trek, however, there is a best one and autumn is considered as the ideal season. As the monsoon season ends around September, the weather clears up and you will get the best possible views. The trails will be dry and trekking will be a lot easier. 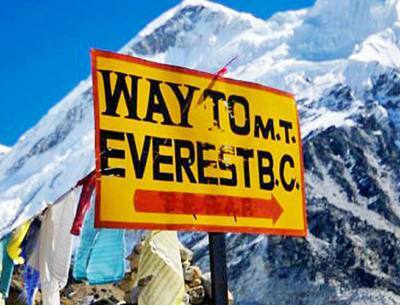 The months, October and November are considered the best months to go on treks to the Jiri to Everest base camp Trek. But it does not imply that you cannot trek during other seasons. You can go on treks at any seasons but the difficulty and risk levels rise with the climate issues. Insurance & Rescue on Jiri to Everest base camp Trek. Booking & Payments on Jiri to Everest base camp Trek. You can find various online sites from where you can book your preferred trek. You will not have a hard time finding travel agencies to help you get a travel plan for your trek to the Everest region. You will have to comply with the terms and agreements set by the agencies before booking your trip. You are required to send all the necessary copies of documents such as passports. Some of these agencies will accept online payment while others demand the sum to be paid up front. Agencies will demand you to pay an initial advance payment. Cancellation is also possible but cancellation charges will be applied. Acclimatization On Jiri to Everest base camp Trek.